If you are caring, understanding and enjoy helping others around you, then a career in community services is a great place for you to apply your skills. 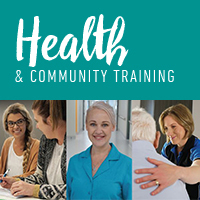 There’s so much to learn and you can gain the skills you need to be prepared for work in the community services industry. Areas of study include leisure and health, social housing, youth work, mental health, youth justice and occupational health and safety.